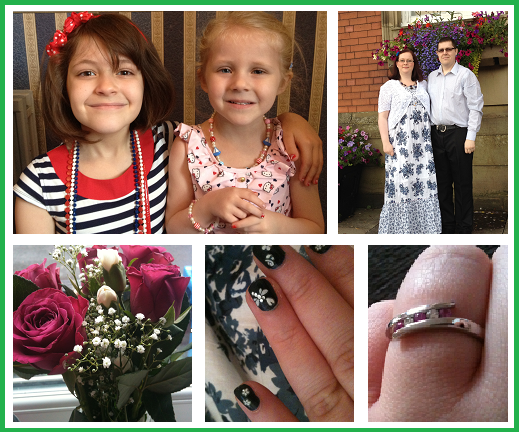 Just over a week ago, I finally married The Partner (who will now be known as The Husband - I'm inventive like that). 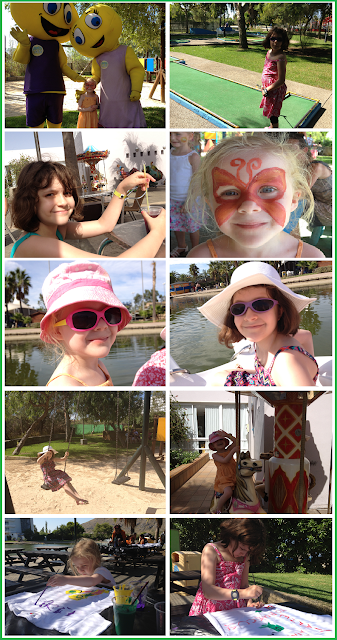 The following Sunday we took our girls away to Mallorca for a week of sun. We had a very simple wedding, with just me, The Husband and our daughters. The witnesses were two (very kind) members of staff at the town hall. None of us wore traditional wedding attire and we let the girls choose their own outfits and accessories. I didn't have a bouquet but The Husband bought me some gorgeous flowers. 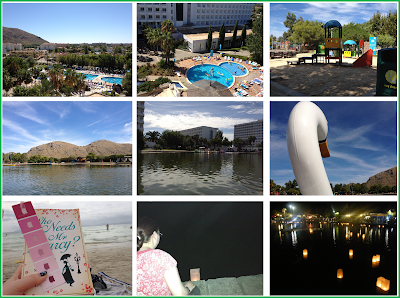 We had a brilliant holiday with gorgeous weather (so it was a shock to come back to a freezing, rainy England). We went to Club Mac in Mallorca, which was huge and full of fun things to do, from pedalos on one of the lakes, swimming in one of the many pools, kids' clubs and activities, family films in the evenings and entertainment shows. There was a fantastic playground and the surrounding mountains were stunning. One evening, hundreds of guests lit floating candles on the lake and made a wish, which was lovely. The beach was a few minutes drive away and the hotel provided a free bus service there and back every half an hour. 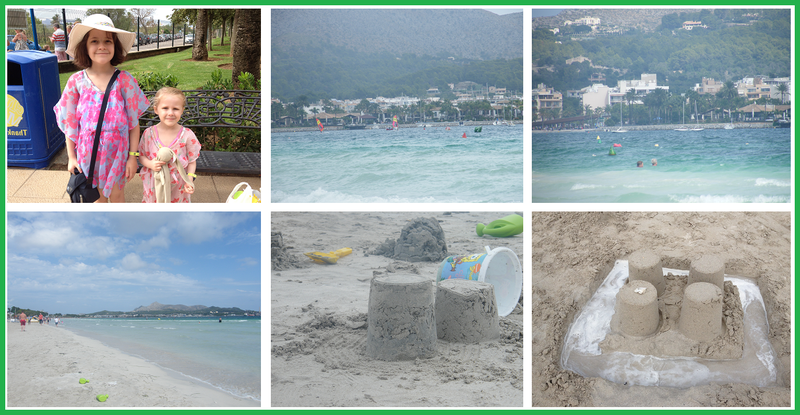 We've already been to Marineland in Costa Brava but we enjoyed it so we booked a trip to the one in Mallorca. While it's a lot smaller, this Marineland seemed to centre more on the animals rather than the water park which we found in Costa Brava. There are three shows - parrot, sealion and dolphin, which were all brilliant and funny. We had lunch at The French Coffee Shop, which was just outside Marineland and not only was the food lovely but the staff were too. Behind Marineland is a gorgeous little beach and a short walk away (we went the wrong way to the beach) there is a harbour with very big, very posh boats. I loved my nails too but they got wrecked on holiday. But they only cost me about £2.50!